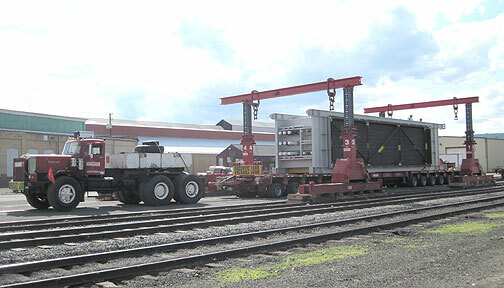 Several large industrial equipment being unloaded from heavy-duty rail car and loaded on to heavy-duty trailer in May and June of 2010. 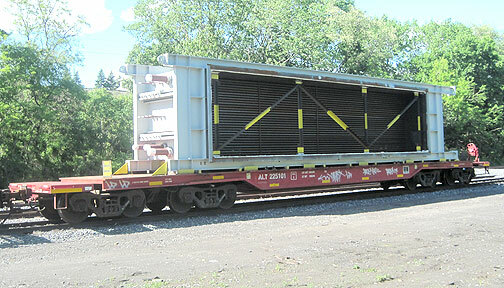 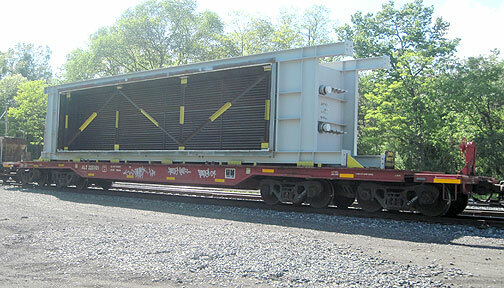 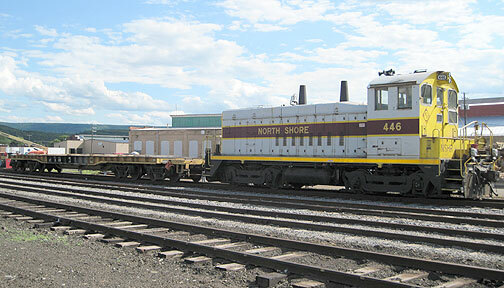 The rail transportation was handled by North Shore Railroad Company from Northumberland, PA to Berwick, PA. 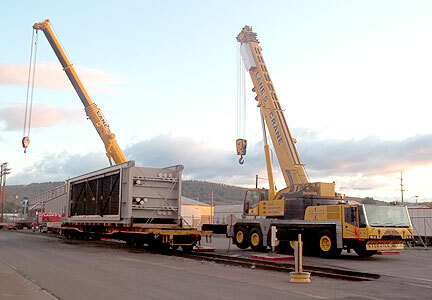 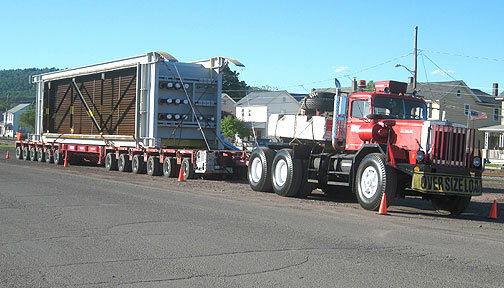 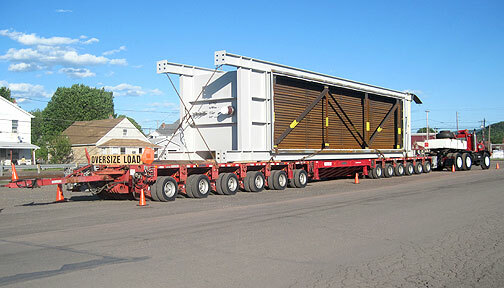 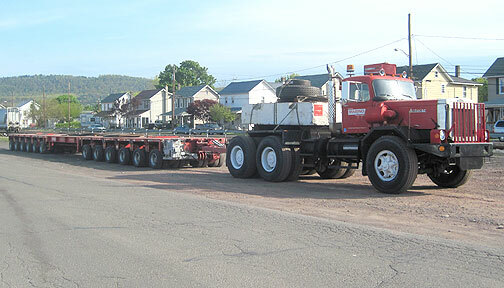 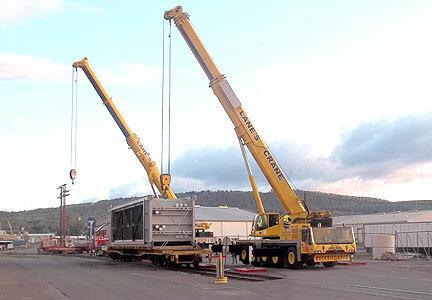 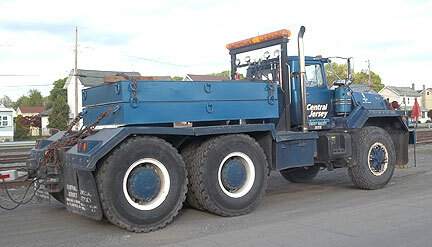 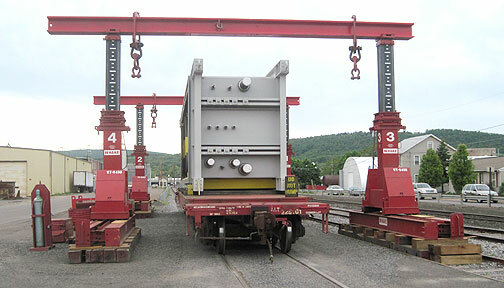 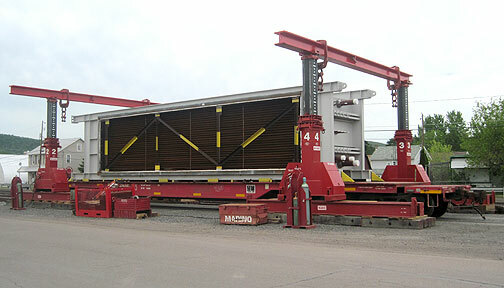 The temporary hydraulic lift and road transportation was handled by Marino Crane Company. 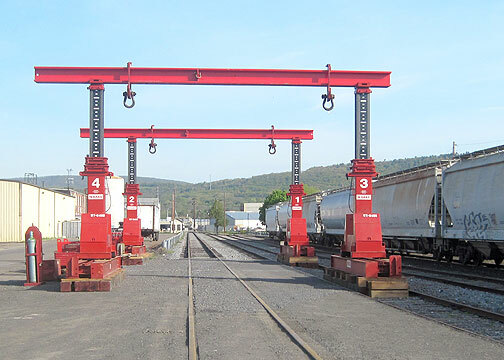 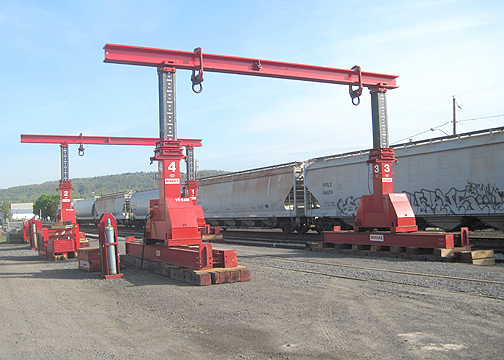 Marino erected the large hydraulic lift over the tracks in the small yard at the BIDA Complex (old AC&F Complex) in Berwick, PA. 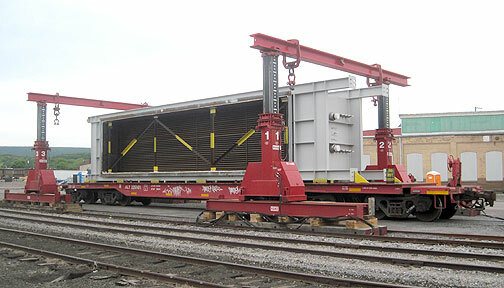 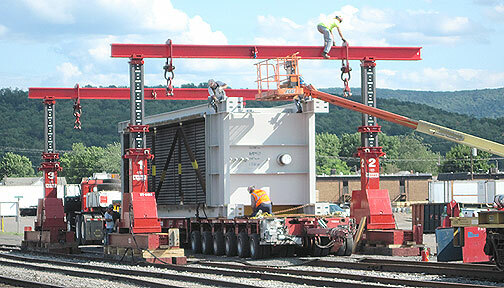 Here they are lifting the industrial equipment off of the rail cars and loading it on a large hydraulic trailer pulled by an AutoCar prime mover. 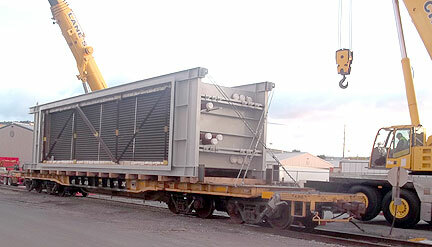 The industrial equipment was then transported up Rt. 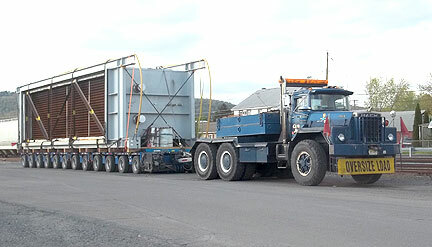 11 to the power plant in Hunlock Creek, PA.
Another large condensor being moved to the UGI Power Plant in Hunlock Creek. 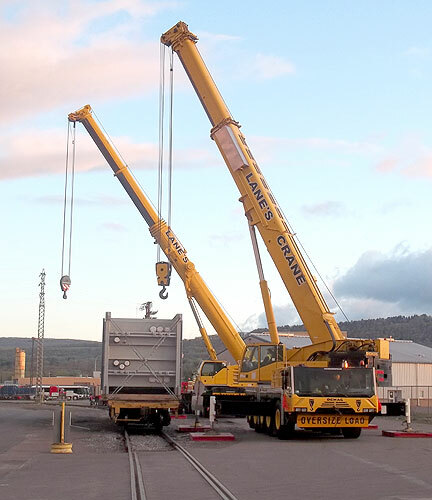 2 Lane's Cranes getting ready to move the condensor. 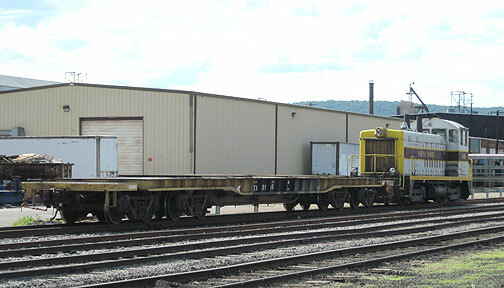 QTTX #13403 Heavy-Duty 8-Axle Flatcar with Condensor Load. 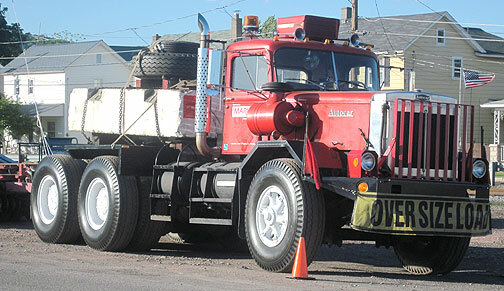 QHeavy-Duty Mack Truck used to pull the load. 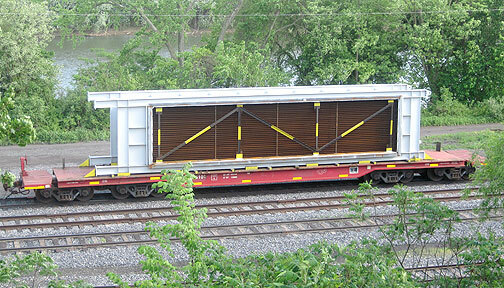 Another view of the crans and flatcar with load.